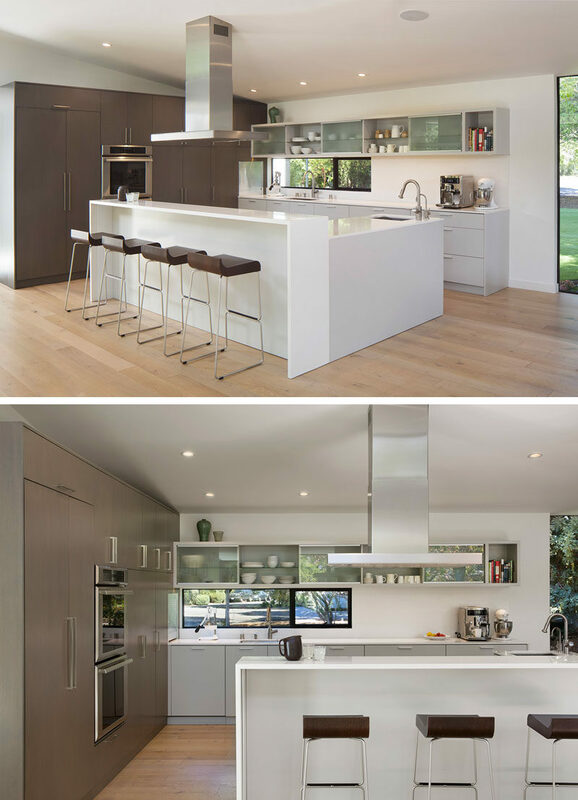 Feldman Architecture have recently completed a new house in Palo Alto, California, for their clients, a pair of Silicon Valley entrepreneurs and their three sons. An existing ranch-style home was replaced by the new house, however they kept the footprint of the existing house and opened up the floorplan. Welcoming you to the home is a pivoting glass front door with black frames and hardware. 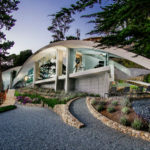 Inside, there’s a glass entry vestibule separates the public and private spaces within the house, and draws the family and visitors into the home and through to the backyard. From the backyard, you can see the master bedroom, which is located on the ground floor, while the boys’ upstairs rooms have a treehouse-like feel. There’s also a patio area that’s furnished as an outdoor dining area. 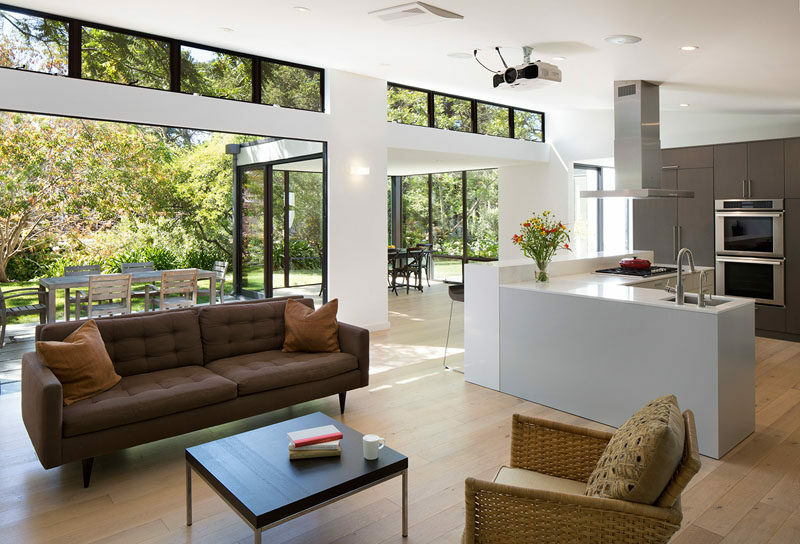 Sliding glass doors have been used to create an indoor / outdoor living environment, while inside, the open floor plan creates a spacious interior. 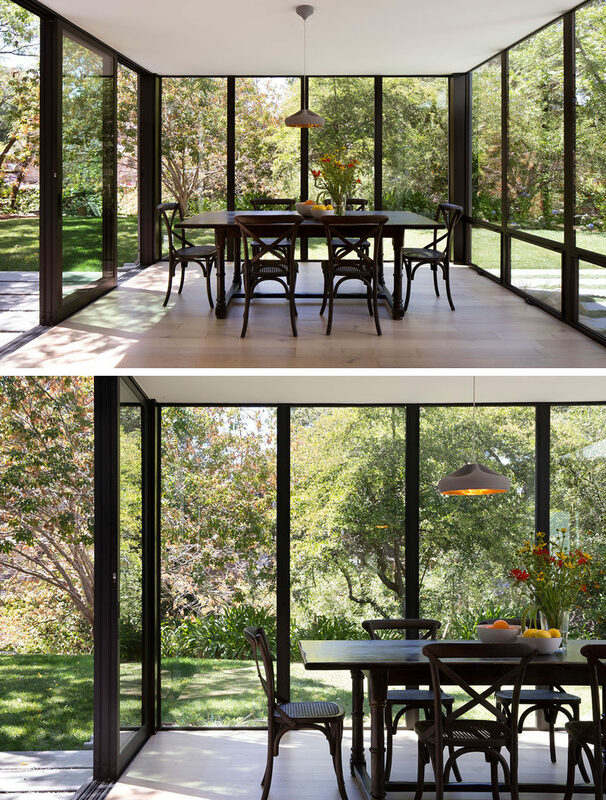 The dining room projects into backyard as a glass box surrounded by landscape, creating a space for enjoying time with family and friends and holding impromptu work meetings. In the kitchen, there’s plenty of storage and the L-shaped island has a bar area with seating. Also on the main floor of the house is a second living area or family room, that has white polished concrete floors with radiant heating to allow the family to seamlessly move barefoot from inside to outside. 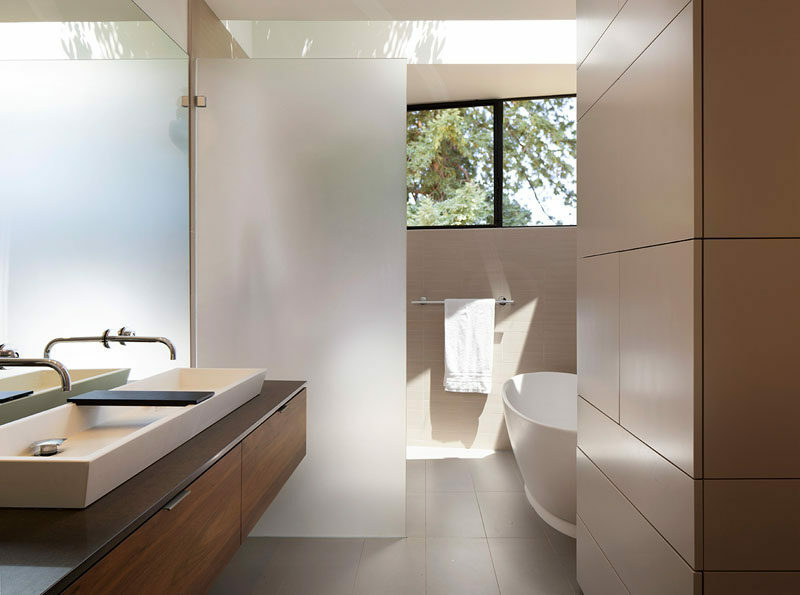 Here’s a look at the master bathroom that has a frosted glass frameless shower screen that separates the shower from the vanity. 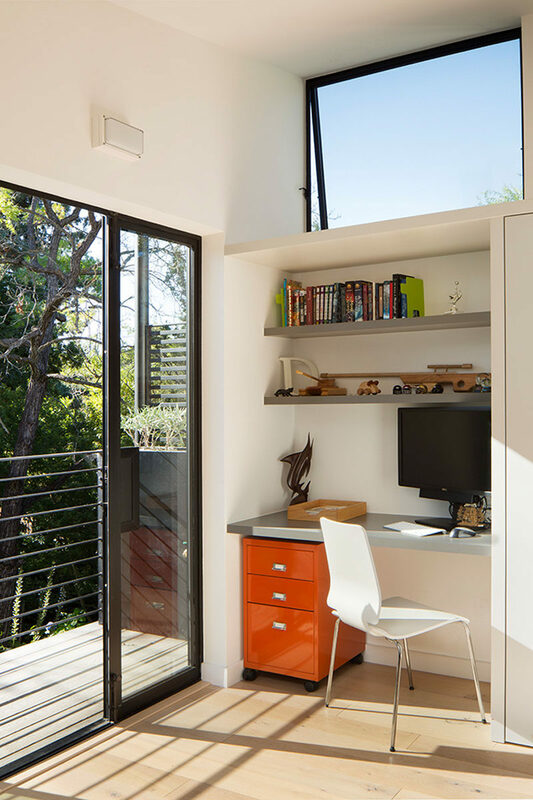 Heading upstairs and into one of the boys bedrooms, there’s a homework station beside a balcony, while a window above the desk and shelves adds even more natural light into the room.